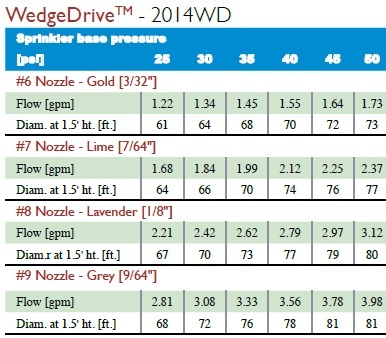 The nozzle-vane combination provides two unique functions. 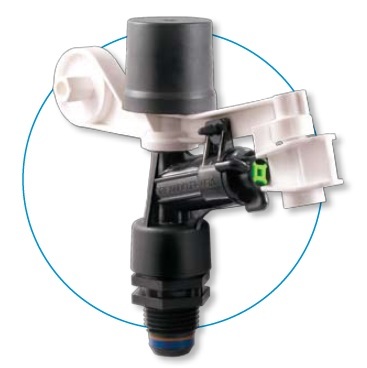 The integral vane straightens the stream, settling turbulents within the sprinkler. The square orifice diffuses the stream in the corners as it exits to fill in the area close to the sprinkler when the stream is not engaged with the splasharm. 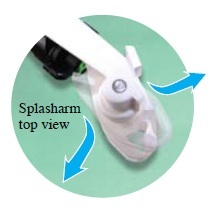 When the splasharm is engaged with the stream, the wedge portion switches into a front or back position. This diffuses the stream alternately before and after the splasharm for additional uniformity near the sprinkler.